Life is filled with moments. These are mine. These are all things that I’m currently loving, but my bank account isn’t so I will continue to admire through a computer screen. As if my love of cutting and serving boards isn’t enough, I’ve found a line of rolling pins I love. 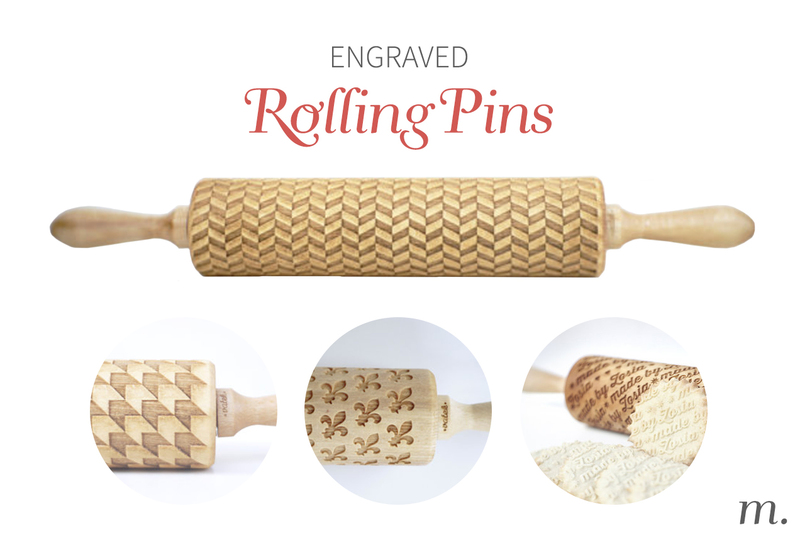 I don’t bake many things that require the use of a rolling pin, but if I did, I would for sure use one of these engraved rolling pis. I mean, who wouldn’t want their pie crusts or cookies to have designs in them?! The best part? You can order a customized pin! I have this new thing for wood boards—I want a whole collection of them in different shapes, sizes and colors. I think it started with asking Tim’s dad to make me a cutting board for Christmas and turned out pretty amazing. 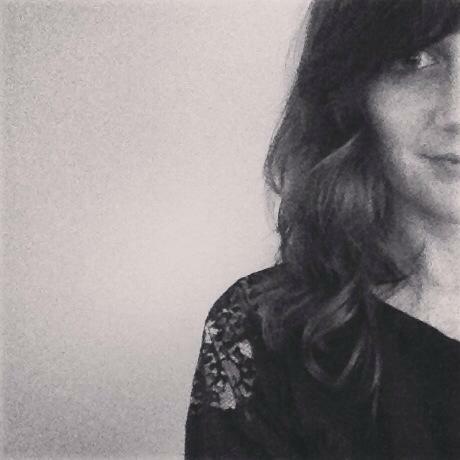 Then I bought this one from Newberry here in St. Louis when they had a pop-up shop at West Elm. Now I seriously want to add a serving board from Millie Fairhall to my collection. 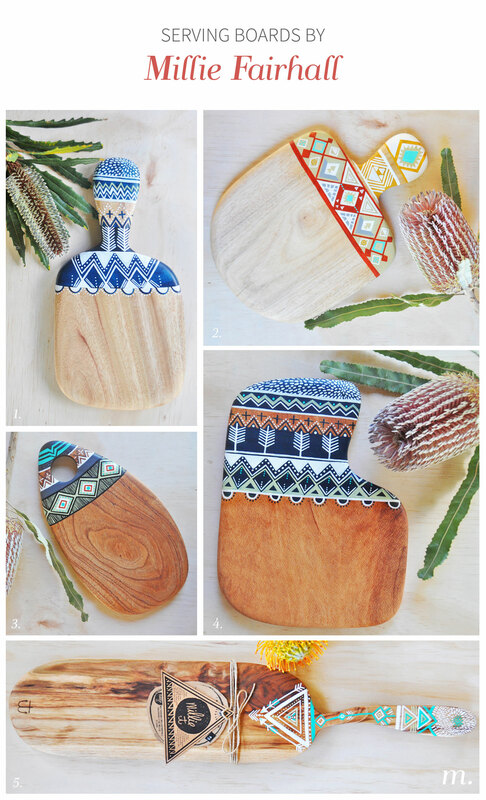 She’s located in Australia and hand carves and paints these amazing serving boards. I love not only the designs that are painted on the boards, but also the organic and sometimes odd shapes of the boards. Considering the price of these boards, it would definitely be an investment piece, but I know I would have the board for a very long time. Note: These boards sell out very fast and most styles are sold out. I was recently introduced to Garance Doré thanks to the new collaboration with Rifle Paper Co. It was then that I realized how many of her illustrations I’ve seen in the past—I just never bothered looking into them. (Silly me.) The illustrator and blogger, originally from the French island of Corsica, has done work for Vogue Paris, Tiffany’s, Kate Spade, Louis Vuitton, Céline and Gap. Even though I have a fine arts degree, illustration was never something I pursued, which is why I think I have a tendency to gravitate towards it with other’s work. 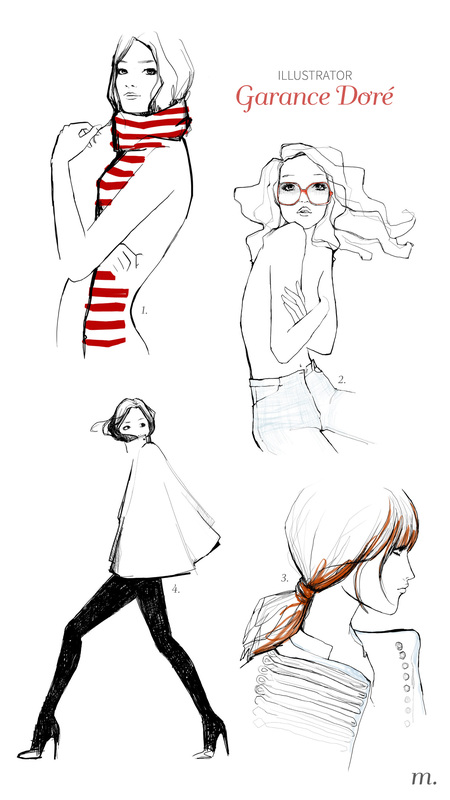 Garance’s The Cape illustration is one of my favorites, followed by the Belle De Jour illustration. I feel like there’s a level of sophistication in her illustrations that any girl would love to achieve in real life. Besides these prints/posters, she has a stationary line. I’ll take one of everything please! 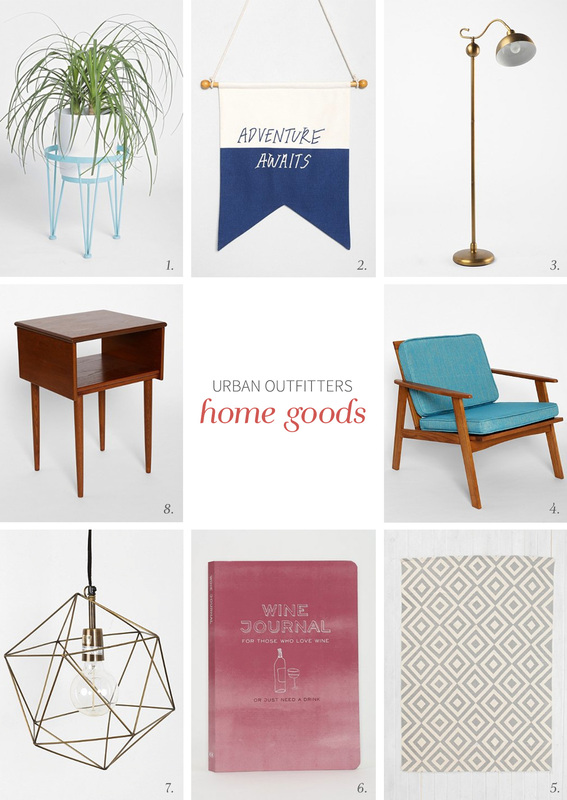 There was a time (my first two years of college) when I spent way too much money at Urban Outfitters. I was obsessed with the store! After a while I stopped going there—my style changed and I realized I could get the same thing from Forever 21 for a fraction of the price. Well now it’s not the clothing that I’m paying attention to…it’s their home section. So many things I am really loving! A lot of the furniture is more of the mid-century era (which I love), and most of the decor items are on the simple side. I could have easily listed fives times the amount of items and not just eight. It’s probably not a good thing that the UO and West Elm stores here in St. Louis are located in the same mall. Actually, I take that back. It is a good thing. So that’s when I started pinning popsicle recipes like crazy and came across the Zoku Quick Pop Maker. It can make popsicles in like 7 minutes! It comes in a few different sizes (amounts), or you can just go with the traditional molds. I’ll probably have to make a trip to our local Crate and Barrel this weekend and pick one up. Tim told me to sleep on the idea, but I know he’ll be happy I bought one. Hi, I'm Megan! This blog is my place of documenting and sharing my life's moments, home DIY projects, baked goods, running adventures, and travels.